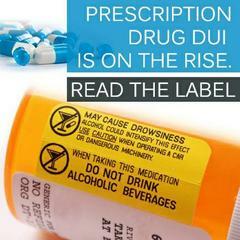 Did you know that you can be arrested for DUI while taking certain kinds of prescription drugs and operating a vehicle? Read the label! And if you are not sure consult your pharmacy or doctor.